from the original and the best kept little secret in the Illawarra. Floral arrangement and a selection of giftware are available for all occasions. At Woonona Florist, find a specialty range of jewellery, candles, diffusers and soaps for that man, woman or beautiful baby in your life. 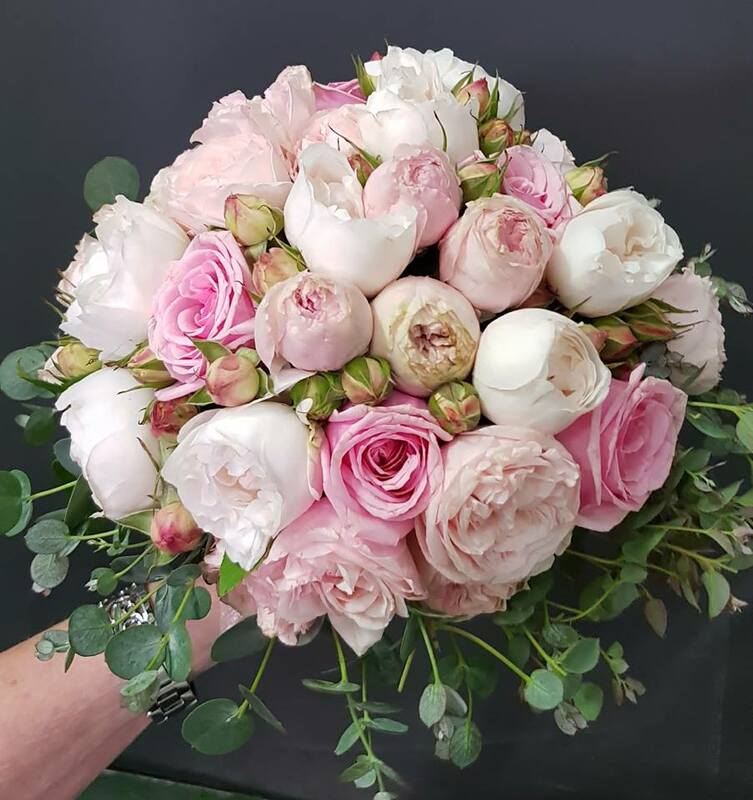 It would be our honour to assist with your special day and we can help with all aspects of floral planning and stageing including; ceremony design; structure design, bouquets, corsages, buttonholes, hair-pieces, centre-pieces, reception and cake flowers. In difficult times, we are humbled to serve in the final send off for your loved ones. Our service is reputed as the most professional, discrete and trusted within the Illawarra. We aim to make your final moments beautiful and seamless and without disruption. 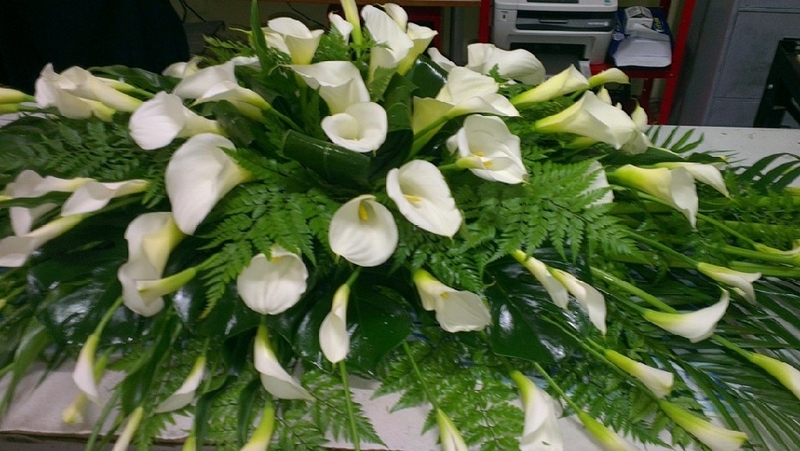 Birthdays, Anniversaries, Corporate Arrangements, Private Events and Formals.. Woonona Florist has all of your needs covered from dainty posies to abstract designs. 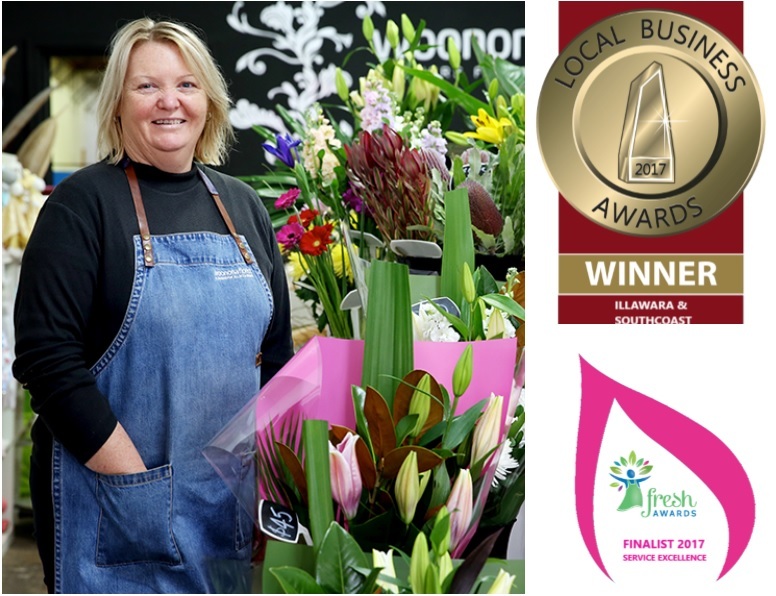 Woonona Florist also prepares custom gourmet and fruit baskets, gifts and balloons to suit your unique taste. Penny was just lovely to deal with and had great suggestions for my mum’s flowers. Mum just LOVES her bouquet – full of mauve roses and pink tulips – and commented on how fresh they were. Thanks, Penny for helping make a 79 year old’s birthday that much more special. 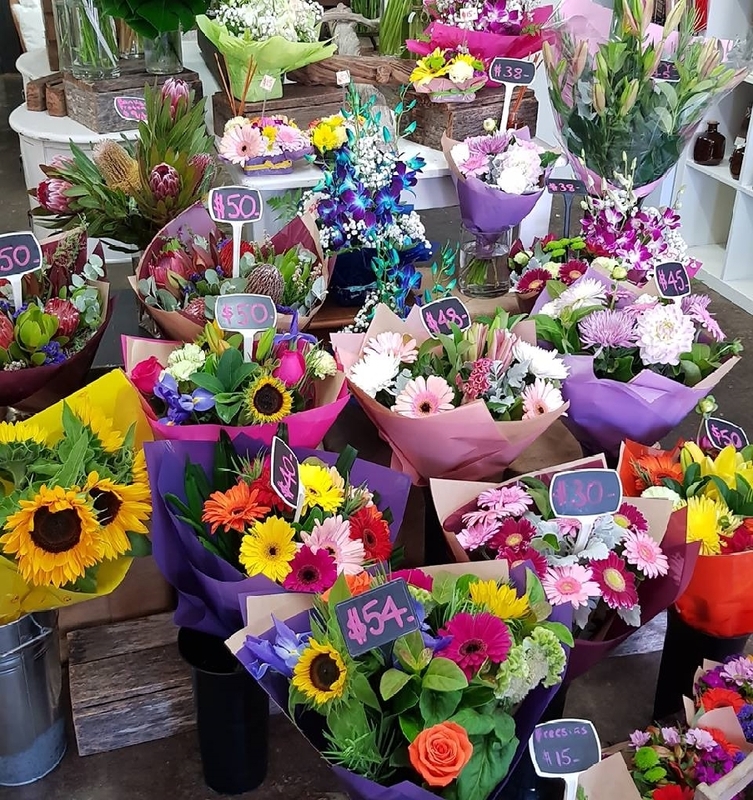 Woonona Florist delivers good quality flowers & products & gifts time after time together with their excellent service they provide makes this the number 1 Florist shop in the Illawarra. We always love to hear from you! Give us a call and brighten your day with flowers.